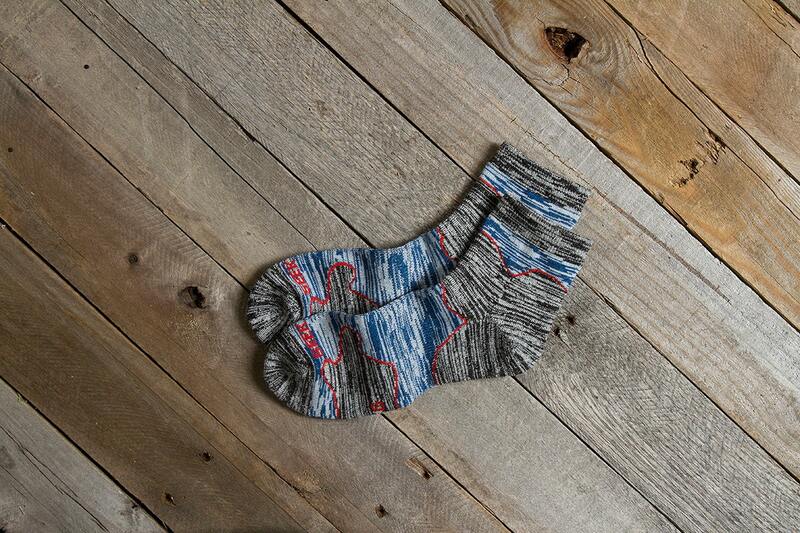 Our Trail Crusher Quarter Socks are made from Merino Wool blended with Hi Bulk Acrylic to keep your feet super duper warm and dry. 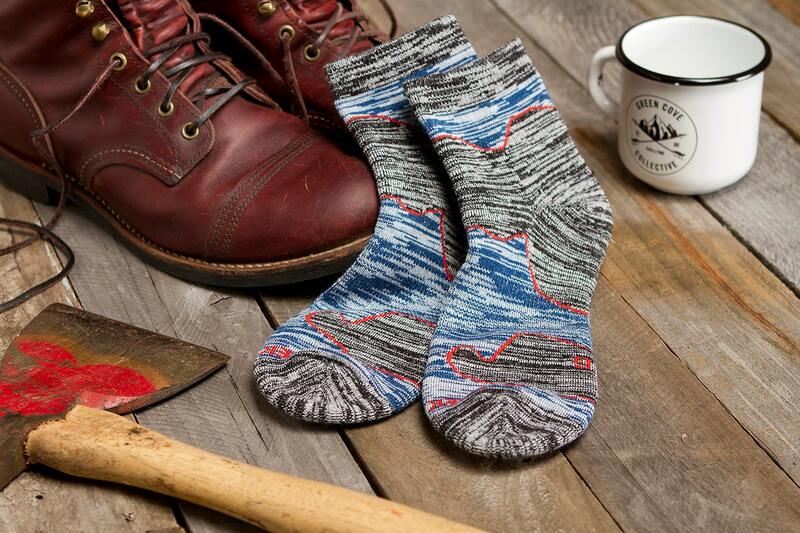 We recommend you crush trails with these rad socks. Hike, Backpack, Mountain Bike and Trail Run. 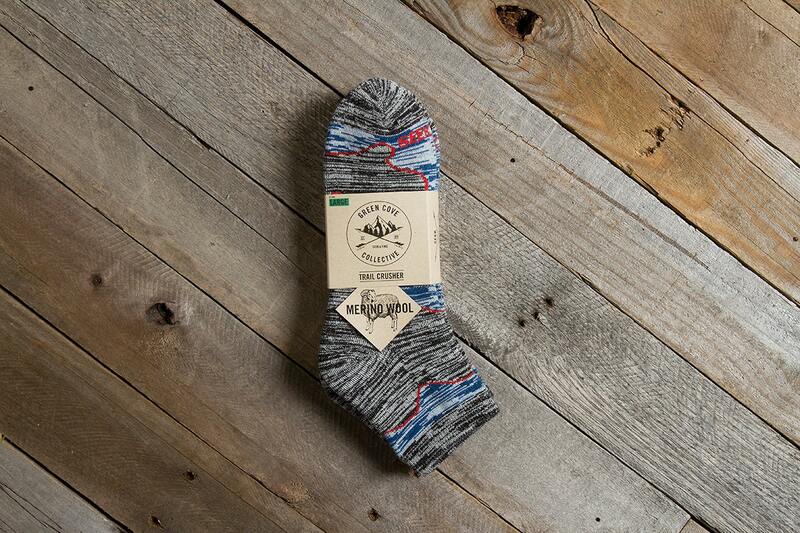 We are selling these as a 2 pair pack because we feel like 1 pair will leave you feeling discontent. Note: These socks are knit using a random feed technique on the knitting machine. We use a light navy blue Hi Bulk Acrylic yarn blended with a natural colored Merino Wool. We then "random feed" these 2 yarns into the machine to achieve the marled / heathered look of the sock. This being said, no 2 pairs are visibly alike. Some may have more blue, some may have more natural. 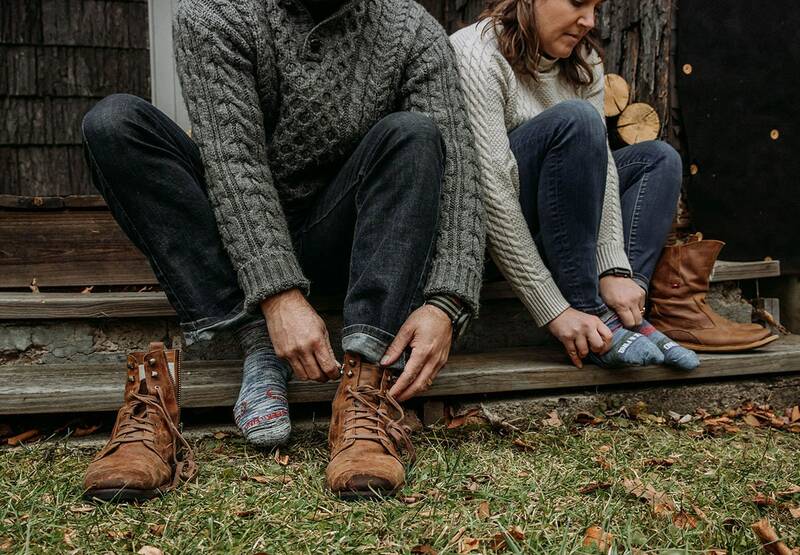 Note 2: We recommend that you wash these socks inside out. Do not wash with towels.